The City of Goshen has 38 lift stations. These are small storage tanks with either pumps that are submerged in the sewage or pumps that sit in a dry area and pull out of wet wells. These take in sewage from residents and business and then pumps it to the wastewater treatment plant. The maintenance technicians check certain stations daily and check all stations once a week. They are periodically cleaned because of grease and trash buildup. At least a few times a week the maintenance crew has to pull pumps to clean them of trash. Underneath all this debris is a pump. This is our Bashor lift station which has 3 of our largest lift station pumps. This picture is a chopper pump with an impeller designed to cut up debris that passes through it. If you look close that is a golf ball in there that plugged the pump. Our lift stations use level transmitters to turn on and off pumps. When debris builds up on them it can cause faulty readings that can hinder the lift stations performance. Wipes (flushable and other types) - These may say flushable which means they will not plug a toilet. However these wipes do not break down and can clogs the City's pumps. 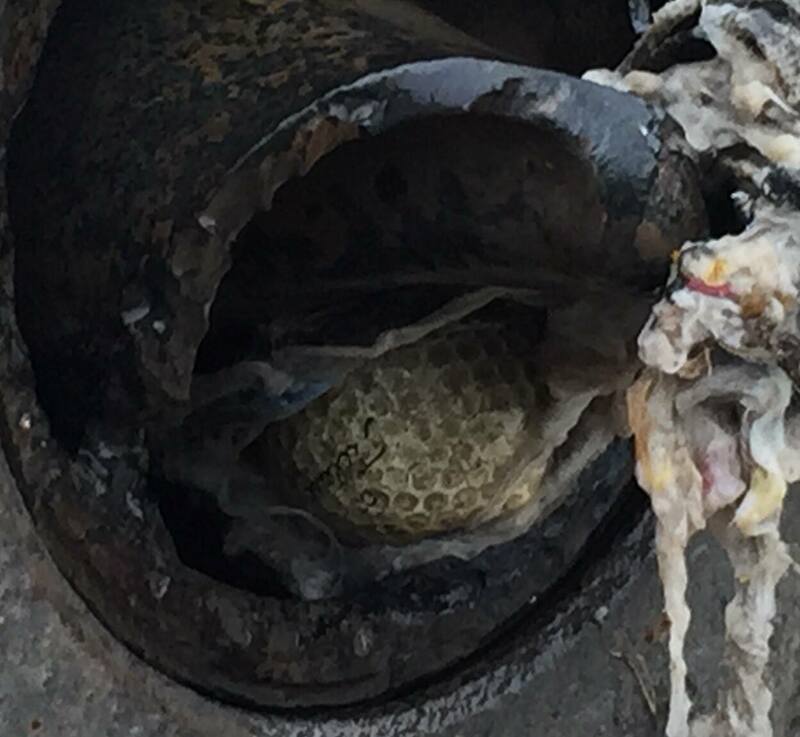 These are all things found in our sanitary sewer system. While most will not harm household plumbing, they do not break down easily and become entangled with each other and create clogs. Solid fats and the trimmings from meat (fleshings) should not be flushed or put down the drain via your garbage disposal. They will not only clog up your own household drains and pipes, they will cause problems for your municipal sewer system. Sludge, scum, and fats should be placed into garbage bags and disposed of with your other trash. Hazardous materials should be disposed of properly and never flushed or poured down household drains or stormwater drains on streets.